This is a very sensitive topic and subject to endless debates. It is a fact that humans are currently consuming more resources that our planet’s capability of generating them. Each country has its own laws and regulations as far as natural resource management is concerned and the USA isn’t any different. In fact, the US authorities are more preoccupied with the administration of their natural resources than a lot of other countries in the world. It’s no wonder that this country is one of the largest economic powers on Earth. In the US alone, there are more than 35 acts that aim to stabilize the imbalance caused by harm and damage done to the environment. Why Do We Need Natural Resources Laws and Regulations? To understand how they can be regulated, one must first comprehend what counts as a natural resource. A brief definition of a natural resource is something that you get from the Earth and which cannot be made by humans. A very broad definition would include examples like air, water, sunlight, all of Earth’s natural products (like coal, minerals, precious materials, etc. ), as well as animals (in the form of wildlife). A deeper classification of natural resources is biotic and abiotic. Biotic resources are the natural result of living organisms and organic materials, such as fossil fuels, animals or plants. Abiotic resources, on the other hand, are the result of non-living organisms, such as sunlight, water, air or minerals. 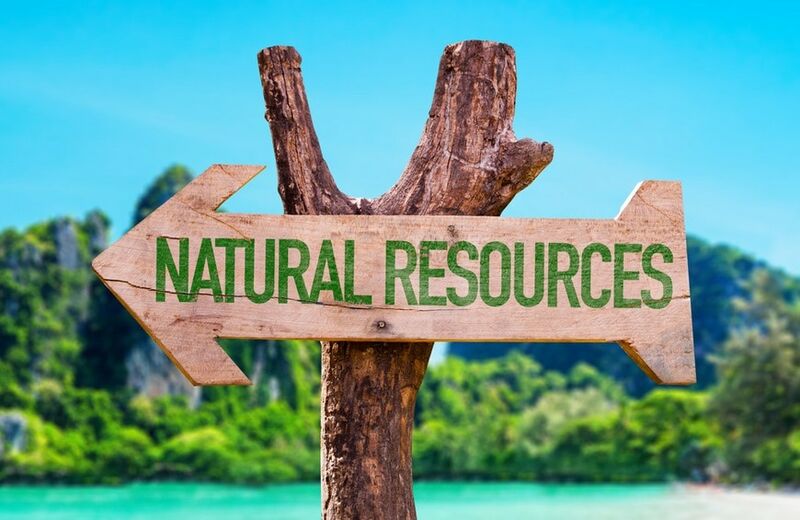 Natural resources can also be classified as renewable and non-renewable. As the name suggests it, the renewable resource can naturally regenerate over time, like trees in the forests, water, wind or solar energy. The latter form of resources is limited and once it has been tapped, that particular resource is gone. For example, mineral resources. Fossil fuels also fall under the category of non-renewable resources, although they can be renewed once every few million years. Here is an interesting fact: fossil fuels currently provide about 66% of the electrical power used nowadays and they are also 95% accountable for other energy resources, such as transportation or heating. The fact that our rate of fossil fuel consumption doubles every 2 decades is a very alarming fact. The answer to this question is very complex and could make for a standalone article by itself. Every human being, every animal, plants, river or ocean, every bit of soil and the air that we breathe; these are all part of our ecosystem. Without natural resources laws and regulations, the ecosystem becomes imbalanced, as any of its components can be damaged. As humans, we are considered a superior species. We have evolved like no others and are considered the rulers of our own planet. But what if there were no planet left to rule? How could we possibly be superior if there were nothing to compare ourselves with? Aside from the negative impact that carelessness causes on our environment, there is always the moral issue of “What kind of planet are we leaving behind for our descendants to live on?” Environmental laws were born because states and organizations from all across the world understood that it is necessary to ensure we are protecting the world that surrounds us, so we can strive in a healthy and fruitful ecosystem. In our quest for development, for the evolution of technology, in our thirst for economic growth, we have slowly abused the natural resources that this planet had to offer, causing damage and imbalance that may not always be immediately visible, but has severe consequences on the long run. Without regulations, man is often found meddling, interfering in the natural order of things and this leads to disasters, such as chemical waste being dumped in water and polluting it, gas emissions that disturb the clean air we all need, erosion caused by illegal mining and so on. These environmental laws are very tricky to instate, as they need to find the proper balance between two very important things: the protection of the environment we live in, so that we can have a healthy and long future ahead of us, and the need to enable future growth and ensure our evolution as the dominant species of the world. In other words, there is a very complex set of decisions that need to be taken in order to make sure people can properly administer the natural resources we have at our disposal. This term refers to the removal of trees that leads to land converted to non-forest use. Whether the goal is to make room for building construction or to obtain wood that’s used as raw material, deforestation is a worrying phenomenon with a negative long-term impact on our environment. Every time deforestation occurs without the proper reforestation, this results in habitat loss, aridity and biodiversity damage. This further affects our environment on several levels. Cutting down trees contributes to global warming and leads to the feared greenhouse effect, which allows the radiation of our planet’s surface because of highly abnormal temperatures. But the most harmful consequence of deforestation is habitat loss. About 80% of the planet’s land animals live in forests and destroying their homes causes natural imbalance. One of the laws that currently activates in the US and is aimed at reducing deforestations caused by illegal logging is the Lacey Act. Born back in 1900, this law was focused on banning trafficking in illegal wildlife, but in 2008, it expanded to cover plants and plant products. The Lacey Act is currently enforcing laws that pushed businesses into knowing the provenance of the wood they’re using while protecting the US’ legal forestry industry. Subsequently, the Lacey Act is also providing opportunities for economic development, while supporting the sustainable management of tropical forests. The penalties enforced upon those who violate the Lacey Act depend on the violator’s knowledge about the product. If the company or person in question took all the required steps to determine the legality of the source product, penalties are varied. On the other hand, if the violator is proven to have knowledge that he or she is using an illegally obtained product, the penalty will be higher. When discussing pollution control, you have to keep in mind all the natural resources it can affect. Pollution control covers everything from waste management, air quality, water pollution or chemical safety. Air quality laws are a series of regulations that determine the release of pollutants into the air we breathe. One example of a US law that controls the air pollution in the country is the U.S. Clean Air Act. Back in 1955, the United States Congress first enacted the Air Pollution Control Act as the first action aimed to create awareness of the dangers that air pollution brought upon public health. Later on, in 1963, the Clean Air Act was put into place as a federal program that allowed the research and monitoring of air pollution levels. The penalties for improper disposal of waste that can lead to air pollution go as high as $70,117 per day. As for water pollution, the US has initiated the Clean Water Act federal program, with the purpose of restoring balance to the integrity of the country’s waters on a biological, chemical and physical level. Penalties vary depending on the situation, but a more comprehensive list can be found on EPA’s website (Environmental Protection Agency). Thanks to the Safe Drinking Water Act, the US government ensures its citizens that drinking water is safe for the public. As a consequence, EPA has established proper standards that refer to the levels of organic and inorganic chemicals, disinfectants, and their by-products, and microorganisms found in drinking water. Next in line for pollution control stands the Resource Conservation and Recovery Act (RCRA for short), which was enacted back in 1976 to ensure the proper disposal of hazardous waste on the US territory. RCRA was much needed after the US started experiencing high pollution levels due to improper disposal of industrial and municipal waste. On a national level, RCRA is looking to conserve natural resources and energy, while reducing the waste generated by individuals and businesses across all industries, through means of recycling. RCRA is also responsible for contaminant clean-up laws, which are focused on removing contamination from groundwater, surface water, sediment, and soil. While this may seem similar to the pollution laws, environmental clean-up refers to the actions necessary after the actual contamination has occurred. There are a number of requirements to establish guilty parties and viable solutions to clean-up, such as remedial action, feasibility studies or liability allocation. The Toxic Substances Control Act of 1976 plays an important part in the regulation of new and existing chemicals. One very important thing to mention at this point is that TSCA doesn’t classify the existing substances as being toxic or non-toxic. Instead, it prevents the import or manufacturing of chemicals that are not in its inventory. In short, what this act does is to regulate the manufacture and sale of chemicals on the US territory. As we mentioned before, natural minerals count as abiotic resources of our planet Earth and abusing the right to mine them can have dire consequences in the long run. Talking about the mining law is crucial in understanding how involved the US is in establishing a balance between the resources needed for industrial development and the complete abuse of these natural resources. General knowledge dictates that the mining law is actually a sum of several other regulations that cover everything from health standards to the safety of miners. In order for the mining law to be fully effective, the USA has merged several other environmental regulations for that every aspect of mining can be considered, as well as its consequences. For example, ownership is a very important topic in the mineral law. It raises the primary questions of who owns the minerals and who has the legal right to extract them. There are several factors that contribute to establishing ownership rights, starting with the mining history of a particular jurisdiction and ending with the type of mineral at stake. Even more, it is important to understand the impact that the methods of extraction have on nearby land. Sometimes, these extractions can lead to the collapse of mines or nearby terrain. US citizens may already be familiar with the General Mining Act of 1872. This federal law was born as mean to implement the proper methods of mining minerals on federal public lands. Under the General Mining Act of 1872, every US citizen above the age of 18 has the right to locate a place of lode and claim the locatable minerals (such as gold, silver, platinum, tungsten, uranium, zinc, etc.). This is where the Mineral Leasing Act of 1920 comes into play. According to this specific act, public lands can be leased with the purpose of developing deposits of potassium, sulfur, sodium, natural gas, petroleum or coal on the US territory. The act allows the government to grant permission for exploration of public lands, exploitations, and extraction of minerals under the government’s authority. The government is also enaltd to receive compensations for allowing the lessee to drill and extract minerals from public lands. Wildlife laws are a necessary means to protect species and natural habitats of wild animals, as individuals engage in activities that endanger them. Wildlife protection laws include several regulatory measures that include everything from the prohibition of animal trafficking, poaching, measures to ensure species recovery, but also applying penalties for harming or killing animals. The wildlife protection laws are also a sum of several federal acts that established this past century in order to establish a balance in protecting the ecosystem. The first one of them is the Endangered Species Act of 1973. This federal law aims to create a program that conserves both the plants and the animals that are subject to endangerment. Even more, ESA is not only responsible for regulations that protect endangered species, but they also have to ensure the well-being of their designated ecosystems. ESA is considered to be one of the most comprehensive acts of its kind. The goal is to recover as many species as possible and cross them off the endangered list. There are 2 different types of lists that include endangered species. First, there is a list that includes all species that are endangered, and they are considered a priority and require very strict protection. On the other hand, there are several species that are likely to become endangered and even if ESA acts to protect them as well, the regulations implemented to do so are not as restrictive as in the first case. There are several reasons that could lead to a species being threatened. Oftentimes, species become endangered because their natural habitat is under threat, by both human interference and natural disasters. Other times, animals are involved in scientific or educational research or are being trafficked or killed abusively. The second federal law that aims to regulate wildlife conservations is the Marine Mammal Protection Act of 1972. This act was born after more than 600,000 dolphins were killed because of tuna fishing; an alarming number that proved legal measures had to be taken. In consequence, the MMPA act of 1972 was established to protect a series of sea creatures, such as otters, manatees, polar bears, seals, dolphins, whales, etc. As there are exceptions to almost every sure, the MMPA will allow marine mammal importing for the purposes of scientific research, native subsistence or public display, but only when a legal permit is issued. The National Environmental Policy Act is also a very important piece of the puzzle that we are required to keep intact in order to preserve wildlife. NEPA was authorized by the American Congress back in 1969, with the purpose of having all Federal Government agencies that are responsible for the administration and interpretation of US public laws and regulations to follow 9 rules. These rules require a systematic approach to all decisions related to the environment. 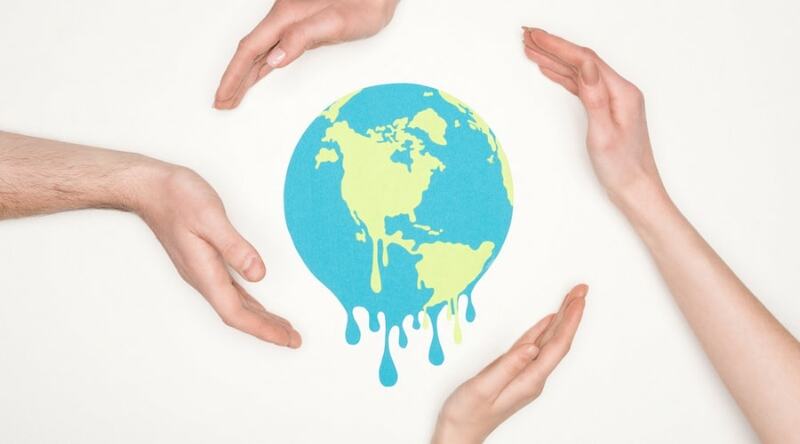 Subsequently, reports must be filed that must contain information related to the project that may somehow interfere with the integrity of the environment. Basically, every project needs to be accompanied by this detailed report, which is an in-depth analysis of environmental impacts, as well as short and long benefits and potential alternatives. The Fish and Wildlife Coordination Act is also worth mentioning. FCWA dates back to March 1934, when the government enacted this act to ensure that modifications brought to natural stream or bodies of water won’t endanger fish and wildlife that are dependent upon this habitat. In short, Federal Agencies that are in any way involved with projects of sorts are required to consult with the U.S. Fish & Wildlife Service in order to make sure all precautions are met as not to cause imbalance or damage to wildlife. Should bodies of water be modified upon any action taken by a Federal Agency, the latter is required to conserve, manage and maintain the resources and habitats at stake. Also part of the USA’s wildlife protection policies is the Migratory Bird Treaty Act of 1918. MBTA’s main goal is to regulate the protection of migratory birds between the US and several other states, such as Canada, Mexico, Japan and the former Soviet Union. Under penalty of law, the MBTA will not allow the hunting, killing or capturing of migratory birds which are enlisted amongst the 800 species that fall under this act. Even more, the law also protects these birds from being imported or exported, as well as their eggs, nests or products. At the basis of all US natural resource laws lies the global convention of protecting the environment. There is a series of benefits that must be taken into account when developing laws that protect the natural resources of a country. First of all, these regulations help provide a safer environment for all life to thrive. People, in particular, can live long and healthy lives if their environment is kept safe. Property values may also rise and industries can become more prosperous, especially if they rely on clean water and air to function. If you’ve ever wondered why these laws exist, let’s look at some very simple figures. EPA has released a study that specifies that the Clean Air Act alone cost about $500 billion dollars between 1970 and 1990. Some people may think that this figure is enormous… and they would be right. However, this $500 billion investment has led to more than $22 trillion in savings with health issues and other benefits that arise from breathing clean air. $500 billion doesn’t seem so much now, does it? While governments all over the world are becoming more and more aware of the need to protect the environment and act upon this need with several regulations that protect the world we live in, the subject is still up for human debate. Being the owner of a business will require investments to keep the company afloat in terms of environmental sustainability. Environmental activists are often found at the opposite pole, being maybe a bit too overprotective of the world around us. But no matter where you stand in terms of environmental safety opinions, the US government evaluates the situation for a very objective point of view. But there is one question that will always float somewhere in the back of our minds: even with the best policies and environmental regulations that exists, how long will it take before we tap out all the non-renewable resources… and what’s left to do from that point on?